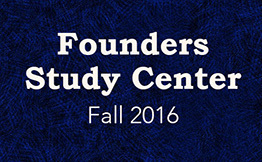 Early registration for Fall 2016 at the Founders Study Center ends September 1st. Register Now for Fall courses. Read the Founders Blog and catch up on Upcoming Events. Learn more about the reformed Christian substance abuse program His Steps Ministries. Join us this Fall at the Founders Study Center! Or audit our Worship course for free. Or enjoy unlimited access to any of our eight fall courses with a Full Site Subscription. Early Registration discount for Directed Studies ends September 1, 2016. Fall orientation and course previews (for registered students) opens September 6th. With the resurgence of reformed theology has come a rediscovery of the doctrine of Christian liberty. This doctrine is important for spiritual growth and health because, as Paul succinctly put it in Galatians 5:1, "For freedom Christ has set us free; stand firm therefore, and do not submit again to a yoke of slavery." There are many such yokes that well-intentioned people try to place on believers-telling us what we must do and not do or how we must live if we want to be pleasing to the Lord: "Don't groom like that." "Dress like this." "Don't drink that." "Don't drive (or ride) that," etc. Quite simply, Christian liberty is the freedom to live in ways that God that has not restricted by His commandments. Did you know there is a reformed Christian substance abuse program? Did you know there is a reformed Christian substance abuse program? This clearly isn't your typical substance abuse program. 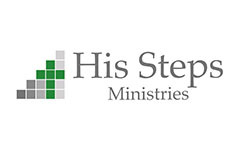 His Steps Ministries is different. We believe God wants to bring true and permanent change to the lives of substance abusers through the gospel of Jesus Christ, the power of the indwelling Holy Spirit, and the sufficient resources of God's Word. His Steps is a six-month program tailored to establish a foundation in Biblical thinking that transforms every aspect of a life destroyed by substance abuse. It includes regular accountability and discipleship from Biblical counselors. This is a ministry based out of the local church and in partnership with local churches to support the ministry of the church through training and counseling. And it uses a Biblical approach that addresses the sins of substance abuse in Biblical terms with Biblical solutions. 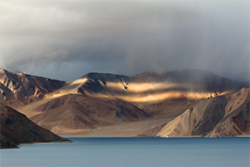 There is God-centered HOPE. For more information, visit our website. If you would like free material for your church, please email Executive Director Steve Kroening at steve@hisstepsministries.org. "What Every Christian Needs to Know About Islam." 10:30 am-Panel Discussion - Pastors Malone and Axsom. "The Incredible Goodness of God in Providence"